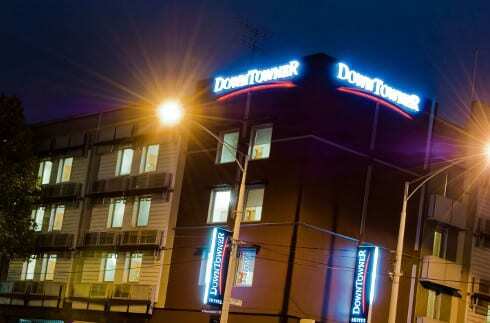 We recently performed a lighting upgrade for The Downtowner hotel in Carlton, Melbourne. The project involved upgrading over 600 lights in their guest rooms, function rooms, restaurant, bar, foyer and car park to energy efficient LED lights. Of particular importance to the hotel was that the charm and ambience was retained or enhanced. We worked closely with the hotel's chief engineer to design a custom solution to suit each area of the hotel and ensure their requirements were met or exceeded. "Nathan O’Halloran sourced different retrofit fittings that take the modern LED tubes and downlights etc and blend them in to our older styled building. Overall, we are very happy with the quality and ambience the new LED lighting upgrade has delivered." The hotel maintains extremely high environmental standards having recently won the Environmental and Efficiency Best Practice award at the Tourism Accommodation Australia (TAA) Victoria Awards. 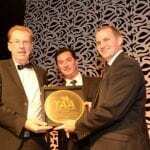 They also maintain a NABERS rating of 4.5 stars which is the highest NABERS rating of any hotel in Australia! Overall, the hotel has reduced their energy consumption from lighting by a massive 78% due to the significantly lower wattage of the LED lighting. We're excited to be a part of the Downtowner's energy efficiency journey and are now completing an external LED lighting upgrade on the balconies which will again improve the lighting for the guests and mean significant energy savings for the hotel. Interested in reading more about Commercial LED lighting upgrades? See the Bag Heaven and Balmain Cove stories. Get case studies, tips and advice on improving energy efficiency in your business.